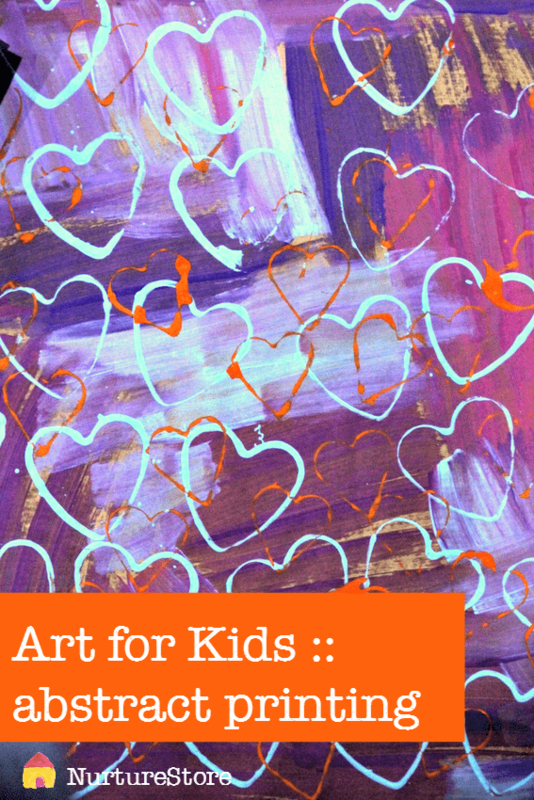 A glorious abstract art project for kids to try at home or at school. Go big, go bold! Abstract art doesn’t try to recreate exact images from reality, but instead uses lines, shapes and colours to create a piece that may have been inspired by a real object, or may be purely from the mind of the artist. You can visit the Tate Gallery online to read more about abstract art. 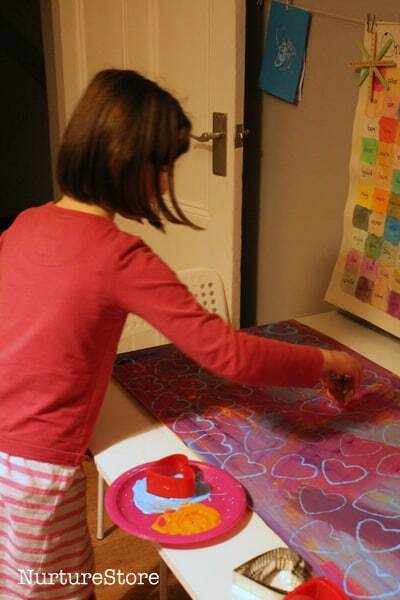 Large scale abstract art makes for a wonderful art project for children. They can use big, bold colours and shapes, and there are no rules to follow, so it encourages them to be inventive and creative. This kind of abstract art project makes for a great collaborative work too, as children can work together to add their own elements to the piece and create a large, community art work. 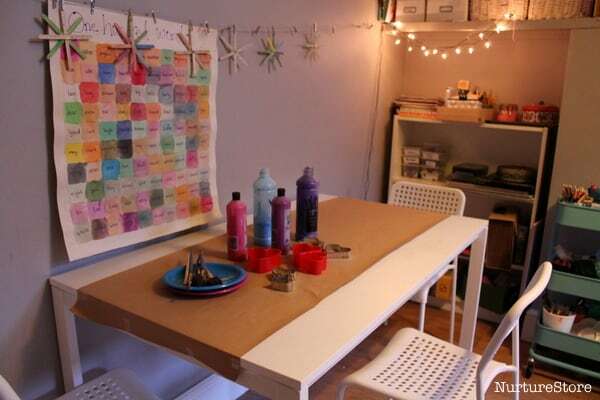 We used a roll of brown parcel paper as our canvas, and taped it down on our art table, so we could access the art from all sides. We used water-based paint and started by covering the whole of the brown paper with our colours. 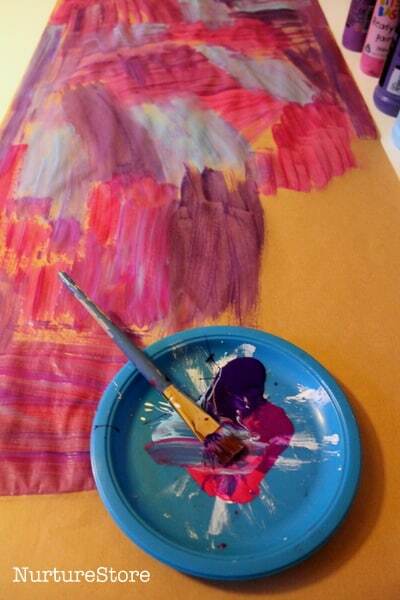 Everyone can join in: pick a colour, mix your own, choose a paint brush, and help to completely cover the paper. 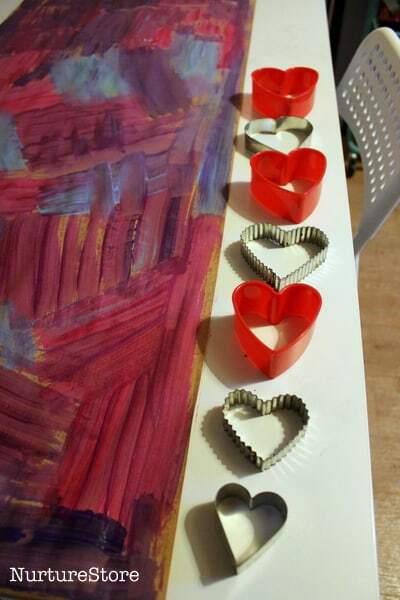 Then we used a selection of heart-shaped cookie cutters to add a layer of stamping on top of our brushstrokes of paint. We used the same colours as for our base, dipping the cookie cutters into the paint and printing on the paper. Giving each child a plate with some paint on helps here: they can easily reach their own colours, and the cookie cutters fit well on the plate to collect the paint. Our finished work is gorgeous! My children love to work on a large scale like this, which gives more freedom and exuberance to their art than a small piece of paper does. It’s fun to work together on a collaborative piece too. 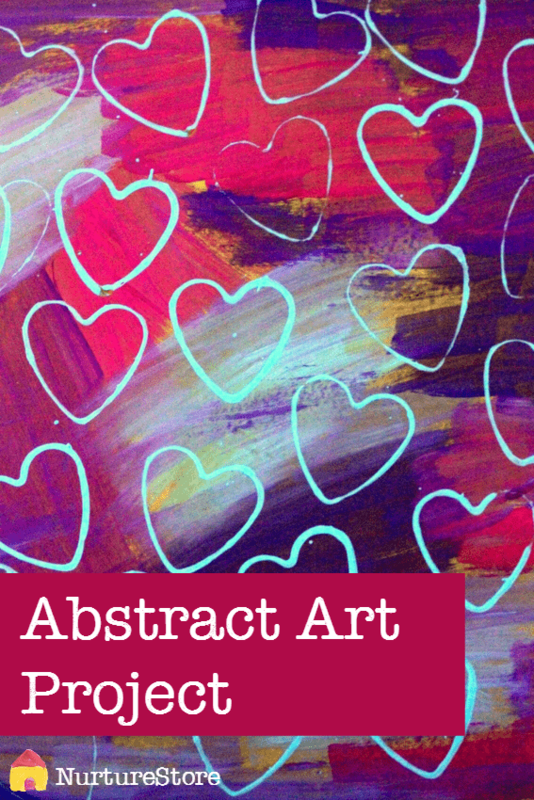 A team-work, abstract piece like this can be just the thing to encourage children who don’t naturally choose art as an activity, letting them try out a new activity and broadening their experience. 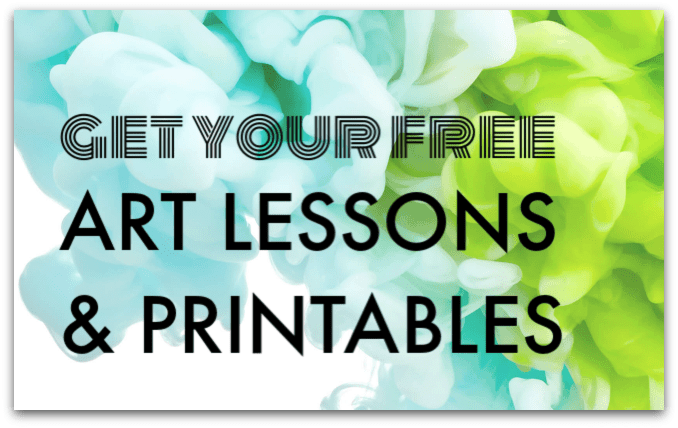 And it can also be useful for children who may have perfectionist tendencies, helping them see that it’s OK to relax, abandon strict ‘rules’ and simply enjoy the process of art.